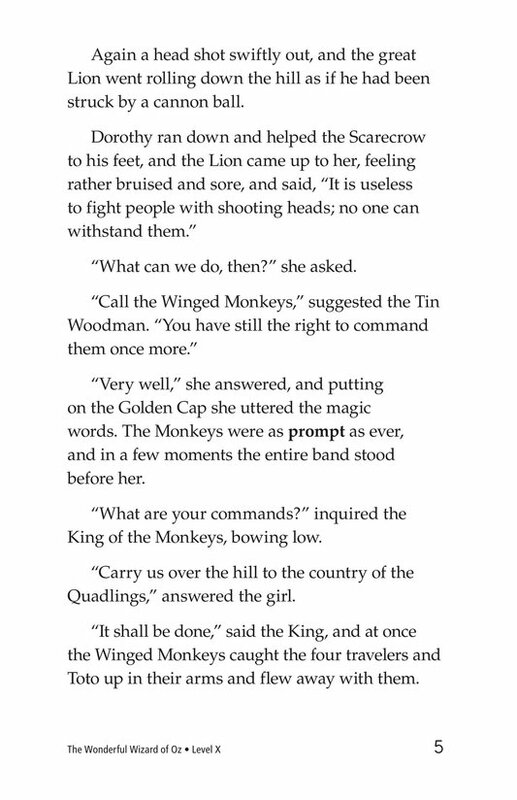 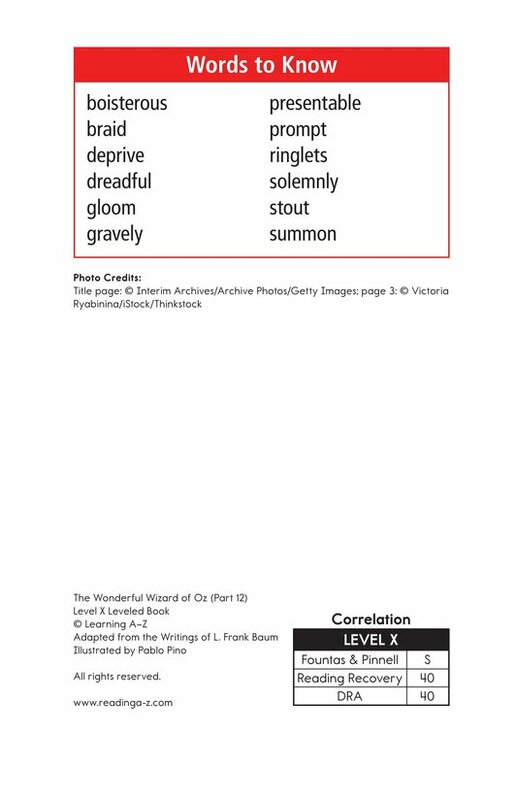 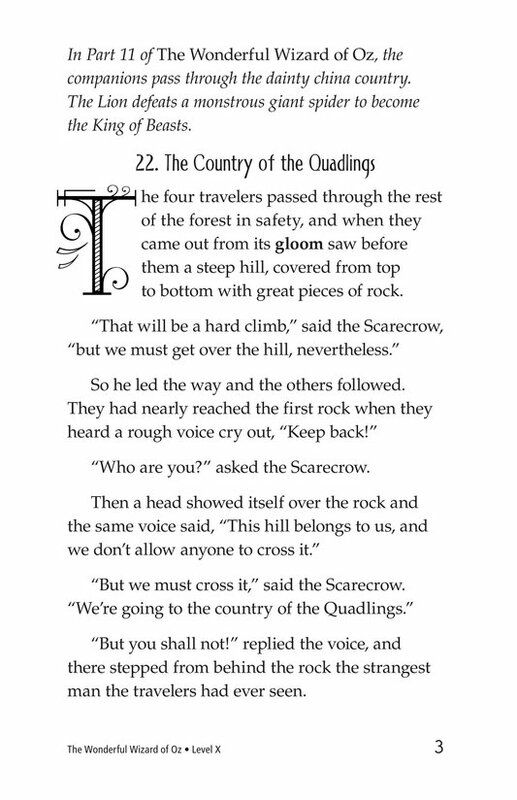 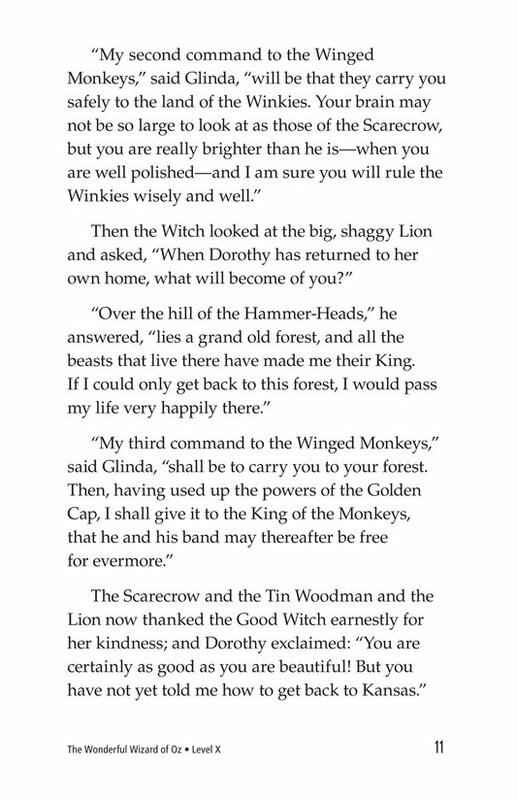 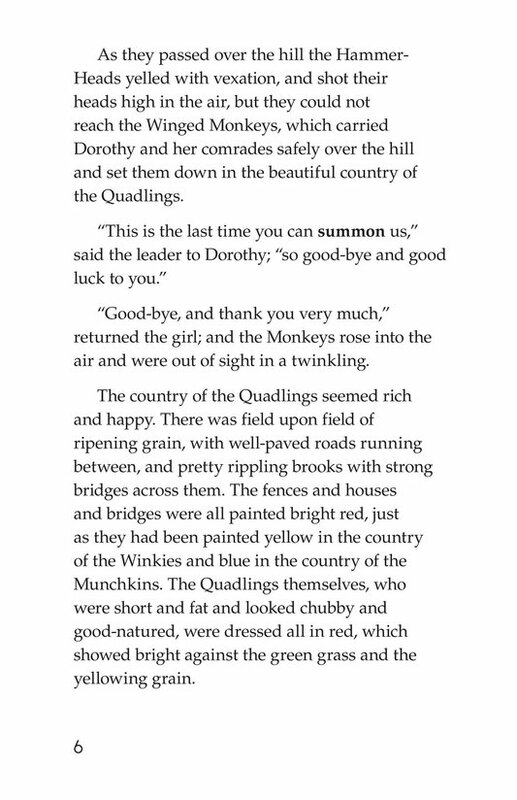 Dorothy summons the Winged Monkeys one last time to pass over the hill of the Hammer-Heads into the country of the Quadlings. 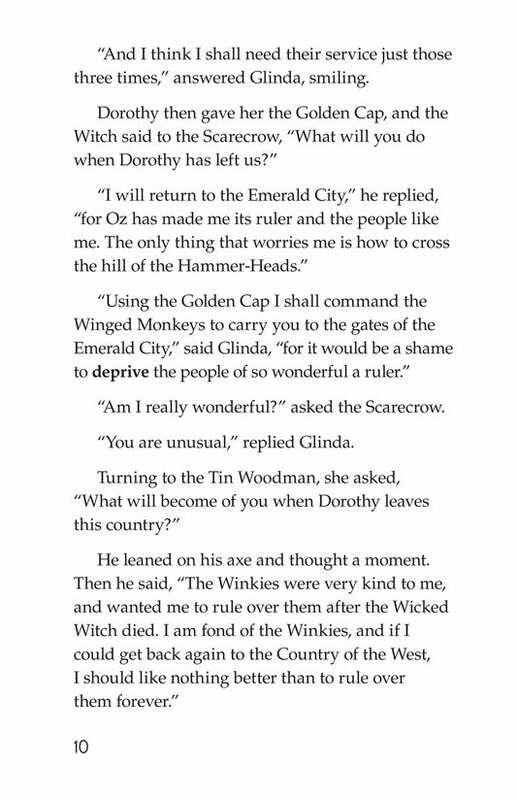 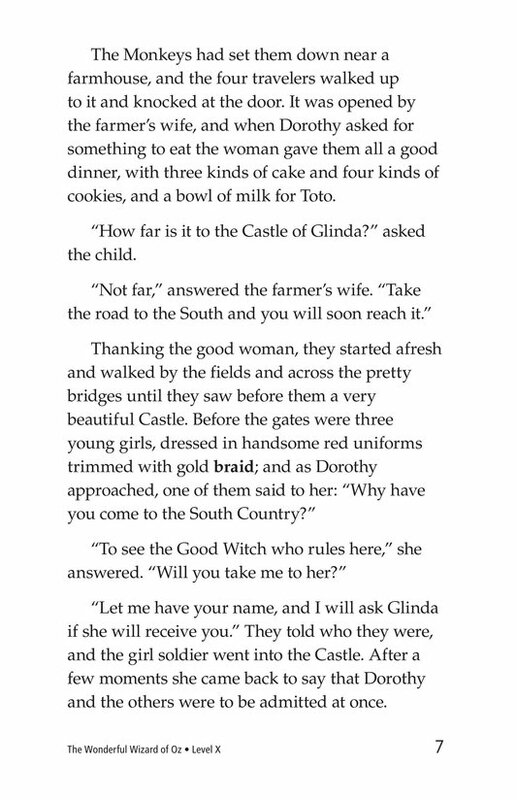 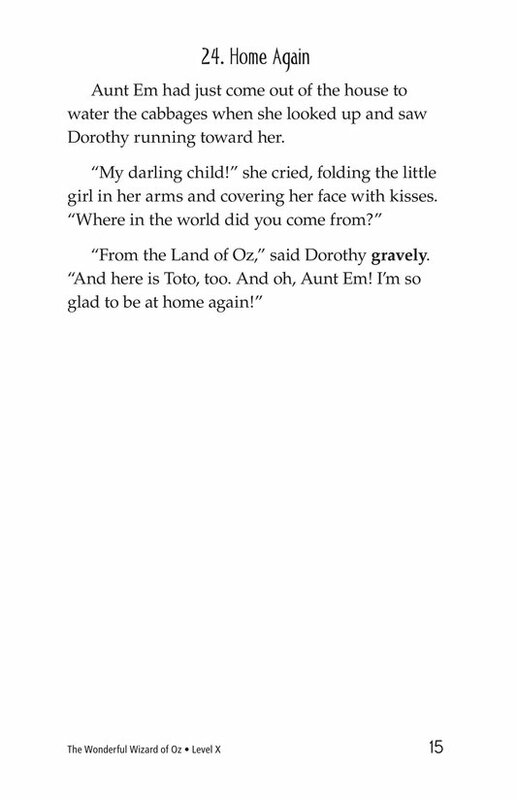 Once there, she journeys to the castle of Glinda the Good Witch, who tells her how she can return home to Aunt Em. 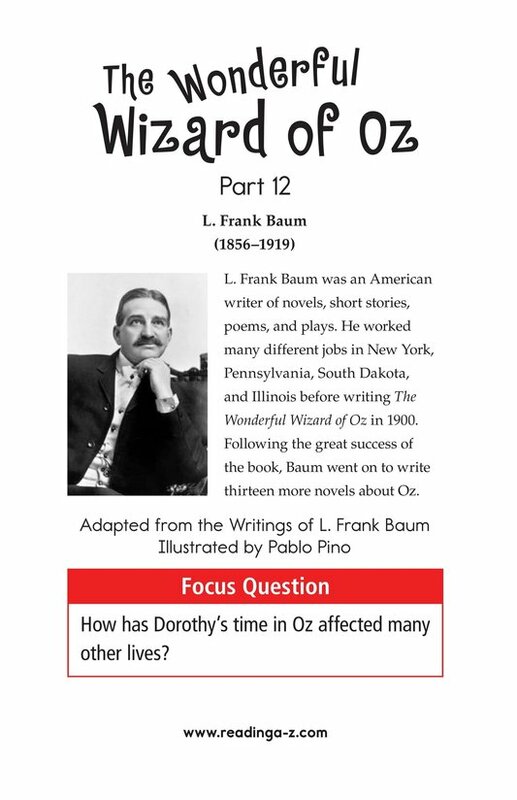 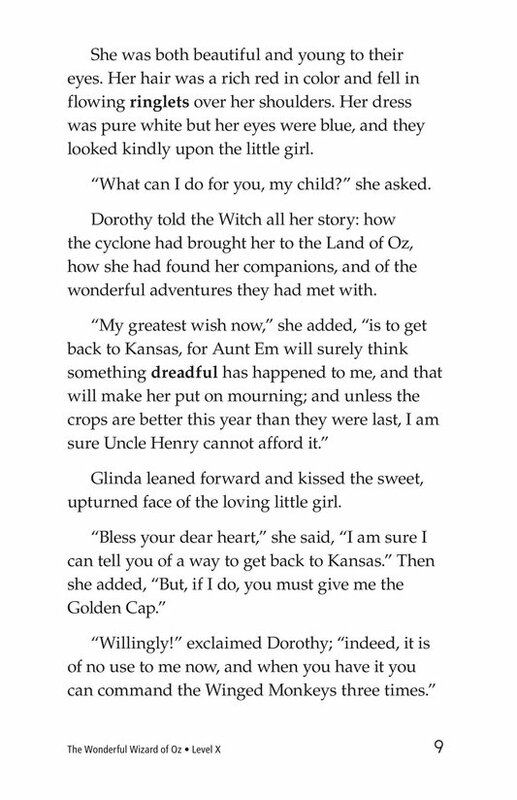 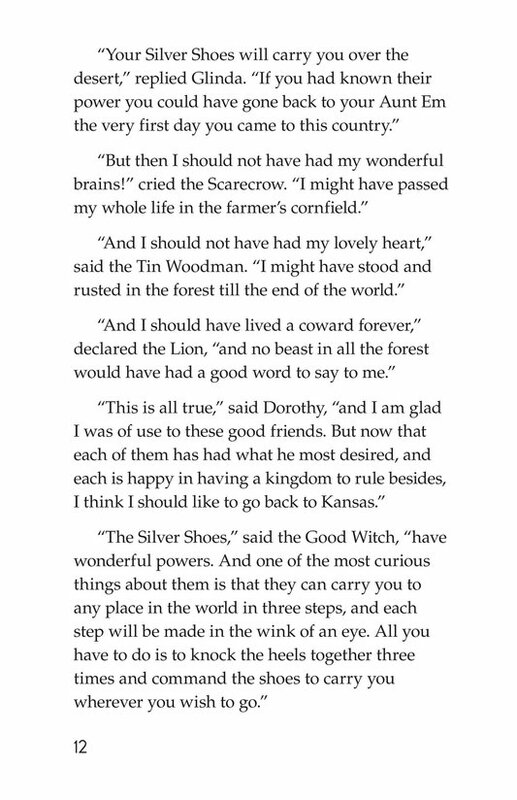 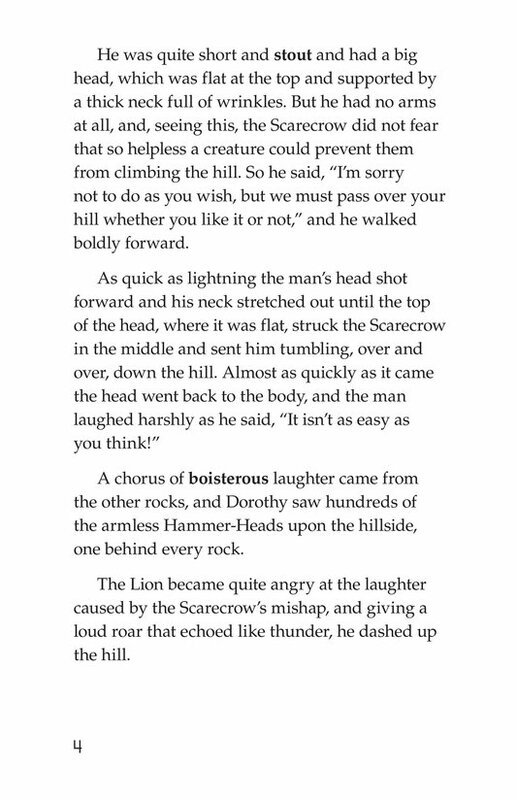 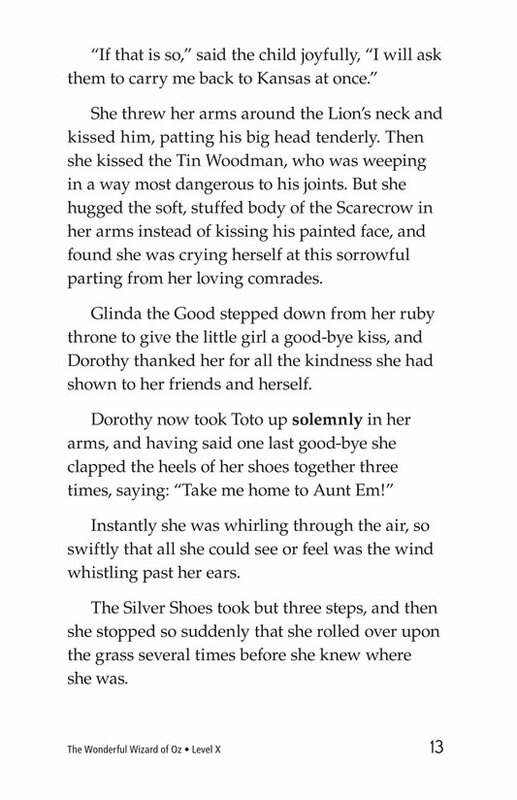 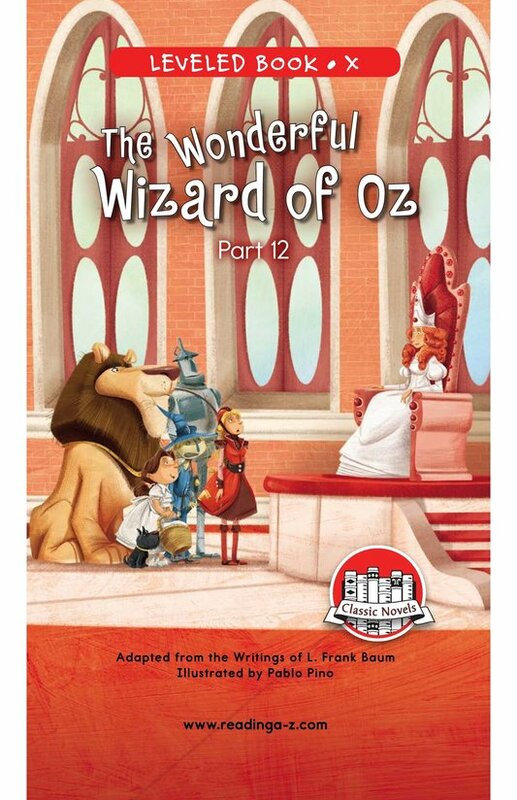 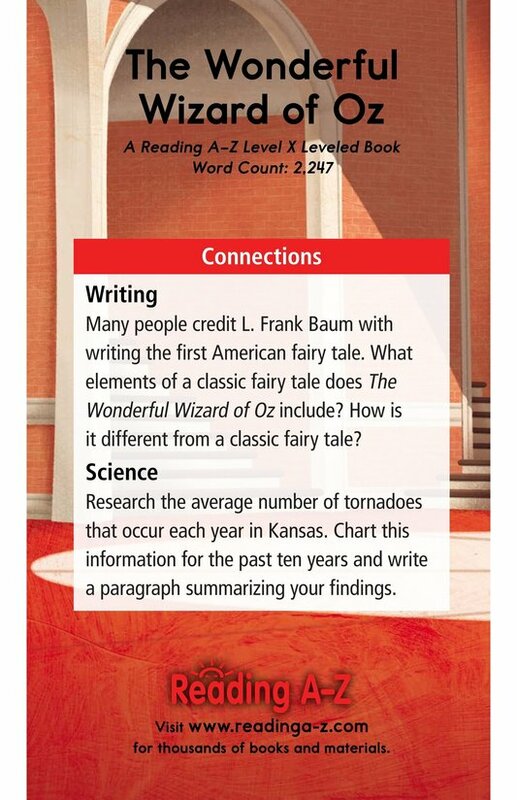 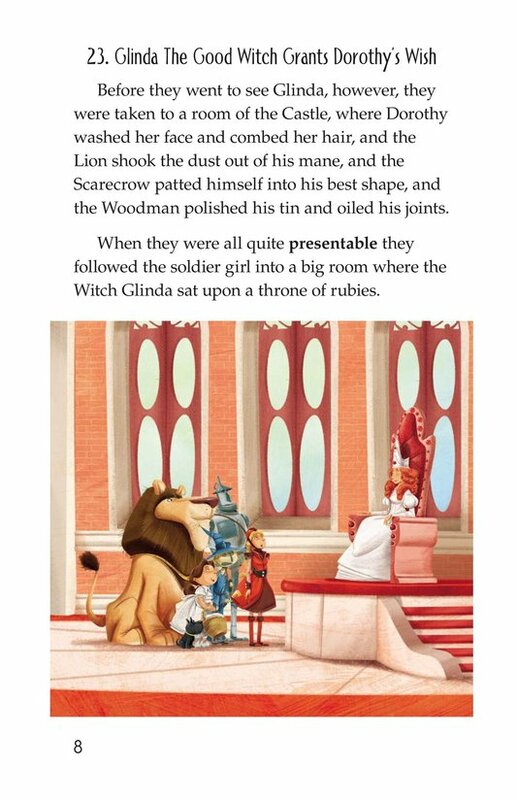 After thanking her faithful companions and saying good-bye, Dorothy takes Toto into her arms and uses the power of the Silver Shoes to return to the Kansas prairie.